The early Muslim conquests (Arabic: الفتوحات الإسلامية‎‎, al-Futūḥāt al-Islāmiyya) also referred to as the Arab conquests and early Islamic conquests began with the Islamic Prophet Muhammad in the 7th century. He established a new unified polity in the Arabian Peninsula which under the subsequent Rashidun and Umayyad Caliphates saw a century of rapid expansion. The Muslim conquests brought about the collapse of the Sassanid Empire and a great territorial loss for the Byzantine Empire. The reasons for the Muslim success are hard to reconstruct in hindsight, primarily because only fragmentary sources from the period have survived. Most historians agree that the Sassanid Persian and Byzantine Roman empires were militarily and economically exhausted from decades of fighting one another. Some Jews and Christians in the Sassanid Empire and Jews and Monophysites in Syria were dissatisfied and welcomed the Muslim forces, largely because of religious conflict in both empires, while at other times, such as in the Battle of Firaz, Arab Christians allied themselves with the Persians and Byzantines against the invaders. In the case of Byzantine Egypt, Palestine and Syria, these lands had only a few years before being reclaimed from the Persians. Fred McGraw Donner, however, suggests that formation of a state in the Arabian peninsula and ideological (i.e. religious) coherence and mobilization was a primary reason why the Muslim armies in the space of a hundred years were able to establish the largest pre-modern empire until that time. The estimates for the size of the Islamic Caliphate suggest it was more than thirteen million square kilometers (five million square miles), making it larger than all current states except the Russian Federation. The prolonged and escalating Byzantine–Sassanid wars of the 6th and 7th centuries and the recurring outbreaks of bubonic plague (Plague of Justinian) left both empires exhausted and vulnerable in the face of the sudden emergence and expansion of the Arabs. The last of these wars ended with victory for the Byzantines: Emperor Heraclius regained all lost territories, and restored the True Cross to Jerusalem in 629. Nevertheless, neither empire was given any chance to recover, as within a few years they were struck by the onslaught of the Arabs (newly united by Islam), which, according to Howard-Johnston, "can only be likened to a human tsunami". According to George Liska, the "unnecessarily prolonged Byzantine–Persian conflict opened the way for Islam". In late 620s Muhammad had already managed to conquer and unify much of Arabia under Muslim rule, and it was under his leadership that the first Muslim-Byzantine skirmishes took place. Just a few months after Heraclius and the Persian general Shahrbaraz agreed on terms for the withdrawal of Persian troops from occupied Byzantine eastern provinces in 629, Arab and Byzantine troops confronted each other at the Mu'tah. Muhammad died in 632 and was succeeded by Abu Bakr, the first Caliph with undisputed control of the entire Arab peninsula after the successful Ridda Wars, which resulted in the consolidation of a powerful Muslim state throughout the peninsula. 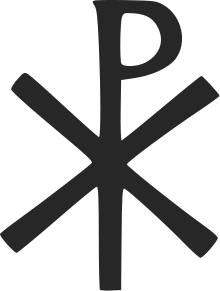 The province of Syria was the first to be wrested from Byzantine control. Arab-Muslim raids that followed the Ridda wars prompted the Byzantines to send a major expedition into southern Palestine, which was defeated by the Arab forces under command of Khalid ibn al-Walid at the Battle of Ajnadayn (634). On the heels of their victory, the Arab armies took Damascus in 636, with Baalbek, Homs, and Hama to follow soon afterwards. However, other fortified towns continued to resist despite the rout of the imperial army and had to be conquered individually. Jerusalem fell in 638, Caesarea in 640, while others held out until 641. The Byzantine province of Egypt held strategic importance for its grain production, naval yards, and as a base for further conquests in Africa. The Muslim general 'Amr ibn al-'As began the conquest of the province on his own initiative in 639. The Arab forces won a major victory at the Battle of Heliopolis (640), but they found it difficult to advance further because major cities in the Nile Delta were protected by water and because they lacked the machinery to break down city fortifications. Nevertheless, the province was scarcely urbanized and the defenders lost hope of receiving reinforcements from Constantinople when the emperor Heraclius died in 641. The last major center to fall into Arab hands was Alexandria, which capitulated in 642. According to Hugh Kennedy, "Of all the early Muslim conquests, that of Egypt was the swiftest and most complete. [...] Seldom in history can so massive a political change have happened so swiftly and been so long lasting." After an Arab incursion into Sasanian territories, the energetic king Yazdgerd III, who had just ascended the Persian throne, raised an army to resist the invasion. However, the Persians suffered a devastating defeat at the Battle of al-Qadisiyyah in 636. As a result, the Arab-Muslims gained control over the whole of Iraq, including Ctesiphon, the capital city of the Sassanids. The Persian forces withdrew over the Zagros mountains and the Arab army pursued them across the Iranian plateau, where the fate of the Sasanian empire was sealed at the Battle of Nahavand (642). As the conquerors slowly covered the vast distances of Iran punctuated by hostile towns and fortresses, Yazdgerd III retreated, finally taking refuge in Khorasan, where he was assassinated by a local satrap in 651. In the aftermath of their victory over the imperial army, the invaders still had to contend with a collection of militarily weak but geographically inaccessible principalities of Persia. It took decades to bring them all under control of the caliphate. The rapidity of the early conquests has received various explanations. Contemporary Christian writers conceived them as God's punishment visited on their fellow Christians for their sins. Early Muslim historians viewed them as a reflection of religious zeal of the conquerors and evidence of divine favor. The theory that the conquests are explainable as an Arab migration triggered by economic pressures enjoyed popularity early in the 20th century, but has largely fallen out of favor among historians, especially those who distinguish the migration from the conquests that preceded and enabled it. Another key reason was the weakness of the Byzantine and Sasanian empires, caused by the wars they had waged against each other in the preceding decades with alternating success. It was aggravated by a plague that had struck densely populated areas and impeded conscription of new imperial troops, while the Arab armies could draw recruits from nomadic populations. The Sasanian empire, which had lost the latest round of hostilites with the Byzantines was also affected by a crisis of confidence, and its elites suspected that the ruling dynasty had forfeited favor of the gods. The Arab military advantage was increased when Christianized Arab tribes who had served imperial armies as regular or auxiliary troops switched sides and joined the west-Arabian coalition. Arab commanders also made liberal use of agreements to spare lives and property of inhabitants in case of surrender and extended exemptions from paying tribute to groups who provided military services to the conquerors. Additionally, the Byzantine persecution of Christians opposed to the Chalcedonian creed in Syria and Egypt alienated elements of those communities and made them more open to accommodation with the Arabs once it became clear that the latter would let them practice their faith undisturbed as long as they paid tribute. The conquests were further secured by the large-scale migration of Arabian peoples into the conquered lands which followed the conquests. Robert Hoyland argues that the failure of the Sasanian empire to recover was due in large part to the geographically and politically disconnected nature of Persia, which made coordinated action difficult once the established Sasanian rule collapsed. Similarly, the difficult terrain of Anatolia made it difficult for the Byzantines to mount a large-scale attack to recover the lost lands, and their offensive action was largely limited to organizing guerrilla operations against the Arabs in the Levant. Although there were sporadic incursions by Arab generals in the direction of India in the 660s and a small Arab garrison was established in the arid region of Makran in the 670s, the first large-scale Arab campaign in the Indus valley occurred when the general Muhammad bin Qasim invaded Sindh in 711 after a coastal march through Makran. Three years later the Arabs controlled all of the lower Indus valley. Most of the towns seem to have submitted to Arab rule under peace treaties, although there was fierce resistance in other areas, including by the forces of Raja Dahir at the capital city Debal. Arab incursions southward from Sindh were repulsed by armies of Gurjara and Chalukya kingdoms, and further Islamic expansion was checked by the Rashtrakuta empire, which gained control of the region shortly after. The Muslim conquest of Iberia is notable for the brevity and unreliability of the available sources. After the Visigothic king of Spain Wittiza died in 710, the kingdom experienced a period of political division. Taking advantage of the situation, the Muslim Berber commander Tariq ibn Ziyad, who was stationed in Tangiers at the time, crossed the straits with an army of Arabs and Berbers. After defeating the forces of king Roderic, Muslim forces advanced capturing cities of the Gothic kingdom one after another. Some of them surrendered with agreements to pay tribute and local aristocracy retained a measure of former influence. By 713 Iberia was almost entirely under Muslim control. The events of the subsequent ten years, whose details are obscure, included capture of Barcelona and Narbonne, and a raid against Toulouse, followed by an expedition into Burgundy in 725. The last large-scale raid to the north ended with a Muslim defeat at the Battle of Tours at the hands of the Franks in 732. Transoxiana is the region northeast of Iran beyond the Amu Darya or Oxus River roughly corresponding with modern-day Uzbekistan, Tajikistan, and parts of Kazakhstan. Initial incursions across the Oxus river were aimed at Bukhara (673) and Samarqand (675) and their results were limited to promises of tribute payments. Further advances were hindered for a quarter century by political upheavals of the Umayyad caliphate. This was followed by a decade of rapid military progress under the leadership of the new governor of Khurasan, Qutayba ibn Muslim, which included conquest of Bukhara and Samarqand in 706–712. The expansion lost its momentum when Qutayba was killed during an army mutiny and the Arabs were placed on the defensive by an alliance of Sogdian and Türgesh forces with support from Tang China. However, reinforcements from Syria helped turn the tide and most of the lost lands were reconquered by 741. Muslim rule over Transoxania was consolidated a decade later when a Chinese-led army was defeated at the Battle of Talas (751). In 646 a Byzantine naval expedition was able to briefly recapture Alexandria. The same year Mu‘awiya, the governor of Syria and future founder of the Umayyad dynasty, ordered construction of a fleet. Three years later it was put to use in a pillaging raid of Cyprus, soon followed by a second raid in 650 that concluded with a treaty under which Cypriots surrendered many of their riches and slaves. In 688 the island was made into a joint dominion of the caliphate and the Byzantine empire under a pact which was to last for almost 300 years. In 639–640 Arab forces began to make incursions into Armenia, which had been partitioned into a Byzantine province and a Sasanian province. There is considerable disagreement among ancient and modern historians about events of the following years, and nominal control of the region may have passed several times between Arabs and Byzantines. Although Muslim dominion was finally established by the time the Umayyads acceded to power in 661, it was not able to implant itself solidly in the country, and Armenia experienced a national and literary efflorescence over the next century. As with Armenia, Arab advances into other lands of the Caucasus region, including Georgia, had as their end assurances of tribute payment and these principalities retained a large degree of autonomy. This period also saw a series of clashes with the Khazar kingdom whose center of power was in the lower Volga steppes, and which vied with the caliphate over control of the Caucasus. Other Muslim military ventures met with outright failure. Despite a naval victory over the Byzantines in 654 at the Battle of the Masts, the subsequent attempt to besiege Constantinople was frustrated by a storm which damaged the Arab fleet. 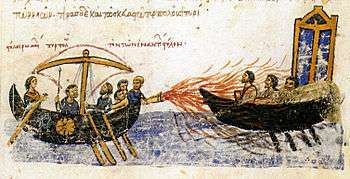 Later sieges of Constantinople in 668–669 (674–78 according to other estimates) and 717–718 were thwarted with the help of the recently invented Greek fire. In the east, although Arabs were able to establish control over most Sasanian-controlled areas of modern Afghanistan after the fall of Persia, the Kabul region resisted repeated attempts of invasion and would continue to do so until it was conquered by the Saffarids three centuries later. By the time of the Abbasid revolution in the middle of the 8th century, Muslim armies had come against a combination of natural barriers and powerful states that impeded further military progress. The wars produced diminishing returns in personal gains and fighters increasingly left the army for civilian occupations. The priorities of the rulers have also shifted from conquest of new lands to administration of the acquired empire. Although the Abbasid era witnessed some new territorial gains, such as the conquest of Sicily and the conquest of Crete, the period of rapid centralized expansion would now give way to an era when further spread of Islam would be slow and accomplished through the efforts of local dynasties, missionaries, and traders. The military victories of armies from the Arabian Peninsula heralded the expansion of the Arabs' culture and religion. The conquests were followed by a large-scale migration of families and whole tribes from Arabia into the lands of the Middle East. The conquering Arabs had already possessed a complex and sophisticated society. Emigrants from Yemen brought with them agricultural, urban, and monarchical traditions; members of the Ghassanid and Lakhmid tribal confederations had experience of collaboration with the empires. The rank and file of the armies was drawn from both nomadic and sedentary tribes, while the leadership came mainly from the merchant class of the Hejaz. Two fundamental policies were implemented during the reign of the second caliph Umar (634–44): the bedouins would not be allowed to damage agricultural production of the conquered lands and the leadership would cooperate with the local elites. To that end, the Arab-Muslim armies were settled in segregated quarters or new garrison towns such as Basra, Kufa and Fustat. The latter two became the new administrative centers of Iraq and Egypt, respectively. Soldiers were paid a stipend and prohibited from seizing lands. Arab governors supervised collection and distribution of taxes, but otherwise left the old religious and social order intact. At first, many provinces retained a large degree of autonomy under the terms of agreements made with Arab commanders. As the time passed, the conquerors sought to increase their control over local affairs and make existing administrative machinery work for the new regime. This involved several types of reorganization. In the Mediterranean region, city-states which traditionally governed themselves and their surrounding areas were replaced by a territorial bureaucracy separating town and rural administration. In Egypt, fiscally independent estates and municipalities were abolished in favor of a simplified administrative system. In the early eighth century, Syrian Arabs began to replace Coptic functionaries and communal levies gave way to individual taxation. In Iran, the administrative reorganization and construction of protective walls prompted agglomeration of quarters and villages into large cities such as Isfahan, Qazvin, and Qum. Local notables of Iran, who at first had almost complete autonomy, were incorporated into the central bureaucracy by the ʿAbbasid period. The similarity of Egyptian and Khurasanian official paperwork at the time of the caliph al-Mansur (754–75) suggests a highly centralized empire-wide administration. The society of new Arab settlements gradually became stratified into classes based on wealth and power. It was also reorganized into new communal units that preserved clan and tribal names but were in fact only loosely based around old kinship bonds. Arab settlers turned to civilian occupations and in eastern regions established themselves as a landed aristocracy. At the same time, distinctions between the conquerors and local populations began to blur. In Iran, the Arabs largely assimilated into local culture, adopting the Persian language, customs and marrying Persian women. In Iraq, non-Arab settlers flocked to garrison towns. Soldiers and administrators of the old regime came to seek their fortunes with the new masters, while slaves, laborers and peasants fled there seeking to escape the harsh conditions of life in the countryside. Non-Arab converts to Islam were absorbed into the Arab-Muslim society through an adaptation of the tribal Arabian institution of clientage, in which protection of the powerful was exchanged for loyalty of the subordinates. The clients (mawali) and their heirs were regarded as virtual members of the clan. The clans became increasingly economically and socially stratified. For example, while the noble clans of the Tamim tribe acquired Persian cavalry units as their mawali, other clans of the same tribe had slave laborers as theirs. Slaves often became mawali of their former masters when they were freed. Contrary to belief of earlier historians, there is no evidence of mass conversions to Islam in the immediate aftermath of the conquests. The first groups to convert were Christian Arab tribes, although some of them retained their religion into the Abbasid era even while serving as troops of the caliphate. They were followed by former elites of the Sasanian empire, whose conversion ratified their old privileges. With time, the weakening of non-Muslim elites facilitated the breakdown of old communal ties and reinforced the incentives of conversion which promised economic advantages and social mobility. By the beginning of the eighth century, conversions became a policy issue for the caliphate. They were favored by religious activists, and many Arabs accepted equality of Arabs and non-Arabs. However, conversion was associated with economic and political advantages, and Muslim elites were reluctant to see their priveleges being diluted. Public policy towards converts varied depending on the region and was changed by successive Umayyad caliphs. These circumstances provoked opposition from non-Arab converts, whose ranks included many active soldiers, and helped set the stage for the civil war which ended with the fall of the Umayyad dynasty. Difficulties in tax collection soon appeared. 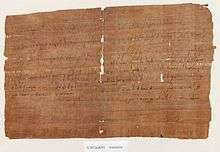 Egyptian Copts, who had been skilled in tax evasion since Roman times, were able to avoid paying the taxes by entering monasteries, which were initially exempt from taxation, or simply by leaving the district where they were registered. This prompted imposition of taxes on monks and introduction of movement controls. In Iraq, many peasants who had fallen behind with their tax payments, converted to Islam and abandoned their land for Arab garrison towns in hope of escaping taxation. Faced with a decline in agriculture and a treasury shortfall, the governor of Iraq al-Hajjaj forced peasant converts to return to their lands and subjected them to the taxes again, effectively forbidding them to convert to Islam. In Khorasan, a similar phenomenon forced the native aristocracy to compensate for the shortfall in tax collection out of their own pockets, and they responded by persecuting peasant converts and imposing heavier taxes on poor Muslims. ↑ Rosenwein, Barbara H. (2004). A Short History of the Middle Ages. Ontario. pp. 71–72. ISBN 1-55111-290-6. ↑ Jandora, John W. (1985). "The battle of the Yarmūk: A reconstruction". Journal of Asian History. 19 (1): 8–21. JSTOR 41930557. ↑ "Yarmuk". 1001 Battles That Changed the Course of World History. p. 108. ISBN 978-0-7893-2233-3. ↑ Blankinship, Khalid Yahya (1994). The End of the Jihad State, the Reign of Hisham Ibn 'Abd-al Malik and the collapse of the Umayyads. State University of New York Press. p. 37. ISBN 0-7914-1827-8. ↑ Foss, Clive (1975). "The Persians in Asia Minor and the end of antiquity". The English Historical Review. 90 (357): 721–747. doi:10.1093/ehr/XC.CCCLVII.721. JSTOR 567292. ↑ Howard-Johnston, James (2006). East Rome, Sasanian Persia And the End of Antiquity: Historiographical And Historical Studies. Ashgate Publishing. p. xv. ISBN 0-86078-992-6. ↑ Liska, George (1998). "Projection contra prediction: Alternative futures and options". Expanding Realism: The Historical Dimension of World Politics. Rowman & Littlefield. p. 170. ISBN 0-8476-8680-9. ↑ Robinson, Chase F. (2010). "The rise of Islam, 600 705". In Robinson, Chase F. The New Cambridge History of Islam, Volume 1: The Formation of the Islamic World, Sixth to Eleventh Centuries. Cambridge University Press. p. 197. ISBN 9780521838238. it is probably safe to assume that Muslims were often outnumbered. Unlike their adversaries, however, Muslim armies were fast, agile, well coordinated and highly motivated. 1 2 G. Yver. Encyclopedia of Islam 2nd ed, Brill. "Maghreb", vol. 5, p. 1189. ↑ M. Longworth Dames. Encyclopedia of Islam 2nd ed, Brill. "Afghanistan", vol. 1, p. 226. ↑ Esposito 1998, p. 34. "They replaced the conquered countries, indigenous rulers and armies, but preserved much of their government, bureaucracy, and culture. For many in the conquered territories, it was no more than an exchange of masters, one that brought peace to peoples demoralized and disaffected by the casualties and heavy taxation that resulted from the years of Byzantine-Persian warfare. Local communities were free to continue to follow their own way of life in internal, domestic affairs. In many ways, local populations found Muslim rule more flexible and tolerant than that of Byzantium and Persia. Religious communities were free to practice their faith to worship and be governed by their religious leaders and laws in such areas as marriage, divorce, and inheritance. In exchange, they were required to pay tribute, a poll tax (jizya) that entitled them to Muslim protection from outside aggression and exempted them from military service. Thus, they were called the "protected ones" (dhimmi). In effect, this often meant lower taxes, greater local autonomy, rule by fellow Semites with closer linguistic and cultural ties than the hellenized, Greco-Roman élites of Byzantium, and greater religious freedom for Jews and indigenous Christians." ↑ Lewis, Bernard (2002). Arabs in History. p. 57. ISBN 978-0-19280-31-08. ↑ Cahen (1991, p. 560); Anver M. Emon, Religious Pluralism and Islamic Law: Dhimmis and Others in the Empire of Law, p. 98, note 3. Oxford University Press, ISBN 978-0199661633. Quote: "Some studies question the nearly synonymous use of the terms kharaj and jizya in the historical sources. The general view suggests that while the terms kharaj and jizya seem to have been used interchangeably in early historical sources, what they referred to in any given case depended on the linguistic context. If one finds references to "a kharaj on their heads," the reference was to a poll tax, despite the use of the term kharaj, which later became the term of art for land tax. Likewise, if one fins the phrase "jizya on their land," this referred to a land tax, despite the use of jizya which later come to refer to the poll tax. Early history therefore shows that although each term did not have a determinate technical meaning at first, the concepts of poll tax and land tax existed early in Islamic history." Denner, Conversion and the Poll Tax, 3–10; Ajiaz Hassan Qureshi, "The Terms Kharaj and Jizya and Their Implication," Journal of the Punjab University Historical Society 12 (1961): 27–38; Hossein Modarressi Rabatab'i, Kharaj in Islamic Law (London: Anchor Press Ltd, 1983). 1 2 3 Tramontana, Felicita (2013). "The Poll Tax and the Decline of the Christian Presence in the Palestinian Countryside in the 17th Century". Journal of the Economic and Social History of the Orient. Brill Academic Publishers. 56 (4-5): 631–652. doi:10.1163/15685209-12341337. Retrieved 2016-02-03. The (cor)relation between the payment of the poll-tax and conversion to Islam, has long been the subject of scholarly debate. At the beginning of the twentieth century scholars suggested that after the Muslim conquest the local populations converted en masse to evade the payment of the poll tax. This assumption has been challenged by subsequent research. Indeed Dennett's study clearly showed that the payment of the poll tax was not a sufficient reason to convert after the Muslim conquest and that other factors—such as the wish to retain social status—had greater influence. According to Inalcik the wish to evade payment of the jizya was an important incentive for conversion to Islam in the Balkans, but Anton Minkov has recently argued that taxation was only one of a number of motivations. ↑ Dennett 1950, p. 10. "Wellhausen makes the assumption that the poll tax amounted to so little that exemption from it did not constitute sufficient economic motive for conversion." 1 2 Lewis, Bernard (2014). The Jews of Islam. Princeton University Press. p. 19. Kaegi, Walter E. (1995). Byzantium and the Early Islamic Conquests. Cambridge University Press. Esposito, John L. (1998). Islam: The Straight Path. Oxford University Press. ISBN 0-19-511233-4. Nicolle, David (1994). Yarmuk AD 636: The Muslim Conquest of Syria. Osprey Publishing. ISBN 1-85532-414-8. Stillman, Norman (1979). The Jews of Arab Lands : A History and Source Book. Philadelphia: Jewish Publication Society of America. ISBN 0-8276-0198-0. Vaglieri, Laura Veccia (1977). "The Patriarchal and Umayyad caliphates". In Holt, P. M.; Lambton, Ann K. S.; Lewis, Bernard. The Cambridge History of Islam Volume 1A: The Central Islamic Lands from Pre-Islamic Times to the First World War. Cambridge University Press. doi:10.1017/CHOL9780521219464.005. ISBN 9780521219464.